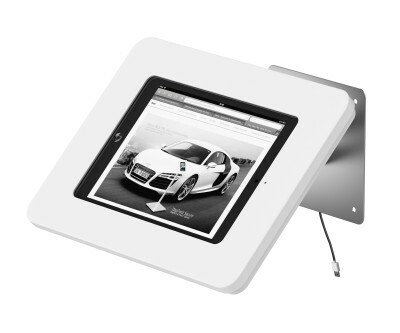 Wall mount with a docking connector for your iPad. The stand itself is entirely made out of brushed stainless steel with a white Solid Surface top. 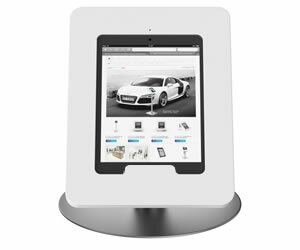 To protect your settings and applications, the iTop is available with hardware supply to cover the home button. 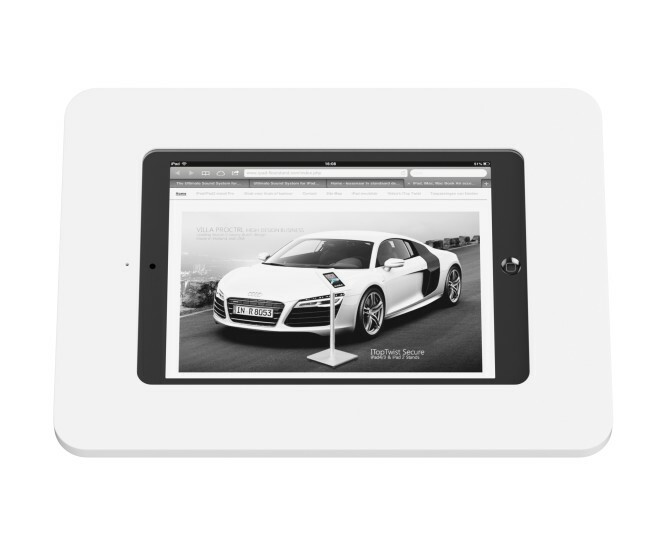 The iPad software settings now also offers an option to disable use of the home button. 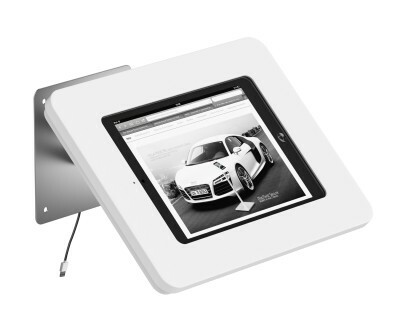 Your iPad holder is made out of Solid Surface, in white color. Solid Surface consists of 70% natural minerals, 25% acrylic resin, 2% binder and 3% natural pigments. The main mineral is Aluminium TriHydrate derived from bauxite.